File this one under tragic. The mayor of Toledo, Ohio, the hometown of Jeep since World War II, died last Friday five days after suffering a cardiac arrest. 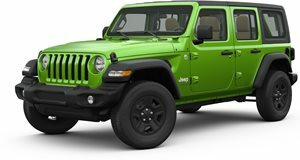 Mayor D. Michael Collins, 70, took office a little over a year ago and not long after Fiat Chrysler CEO Sergio Marchionne announced that the next generation Jeep Wrangler may require a different production facility. 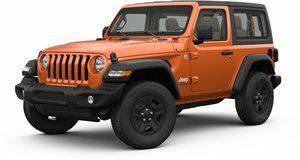 Toledo was set to lose an icon, so Mayor Collins began an aggressive campaign to lobby Marchionne to reverse course and keep the Wrangler where it belongs. Under Collin’s watch, the city quickly began to buy up land near the Jeep factory in order to offer Marchionne an expansion option if it were needed. In December, the 500,000th Jeep Wrangler of 2014 was built. Sadly, Mayor Collins will never know if his efforts paid off; Marchionne still hasn’t made up his mind. The mayor suffered cardiac arrest while driving home in a city-issued GMC Terrain. Attempts to resuscitate him on the spot failed and he was put on life support.